Unilume LED Slimline by Tech Lighting is your solution for a low profile undercabinet and task light where 120V input is desirable. 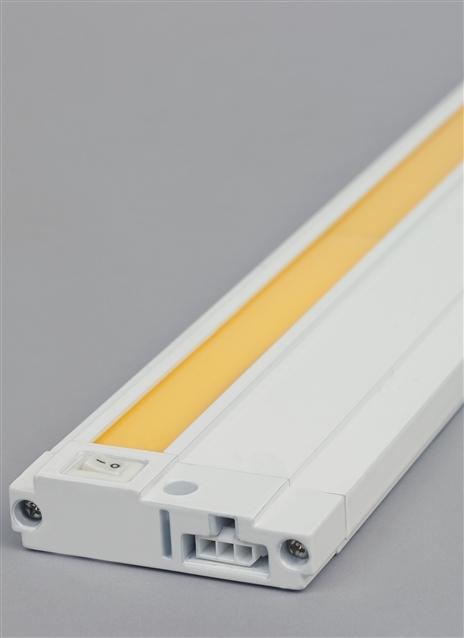 Unilume LED Slimline offers a class-leading combination of performance and versatility. With an extremely low profile of less than 1” height and the ability to link 70 units together, the Unilume LED Slimline undercabinet provides versatility to task lighting needs in both residential and commercial spaces. Offered in four sizes, three color temperatures and two finishes. With four convenient lengths, the ability to power up to 70 linked units from a single outlet, a standard on/off switch, a reliable integrated driver, and color temperature/CRI options; Unilume LED Slimline is perfect for residential or commercial use. Length -- Choose -- 7" 13" 19" 31"